The Crow Law Offices is one of the oldest plaintiff personal injury law firms in Sacramento and currently have over 90 years of collective legal experience. Throughout our history we have had partners become judges and serve as presidents over many prestigious legal organizations. We are proud of the attorneys who compose our legal team. We are a law firm that derives its success from the character and competence of its attorneys, both past and present. As a nationally renowned law firm, we have been involved in landmark settlements and verdicts and have displayed a tireless dedication to helping our clients to achieve their just outcome. The Crow Law Offices stresses client-focused representation, taking the time to work with each client on an individual basis to determine exactly what strategy will most likely help them reach their goals. The firm, based in Sacramento, California, has practiced plaintiff personal injury law and FELA (Federal Employers’ Liability Act) solely since 1954 throughout California. Both Richard E. Crow and Joseph J. Weninger are members of the American Board of Trial Advocates (ABOTA).The main purpose of ABOTA is to preserve the right to a jury trial and to elevate standards of integrity, honor and civility in the legal profession. For over 100 years, Martindale-Hubbell has published this directory with Legal Ability and General Recommendation Ratings of lawyers in this country. Attorneys acquire ratings through confidential opinions of fellow members of the bar and members of the judiciary. ... I am sure you are aware of the trust and confidence placed in an attorney before he/she is considered. ... and I feel certain you will be a valuable asset to both the union and our members in your area who may have need of legal assistance. ... and I am certain you will maintain these high standards. " A personal injury lawsuit will hold the liable parties accountable for their actions, or inaction, that resulted in a person’s injury and/or death. The personal injury lawsuit financially punishes a negligent person or entity so that they will be more compelled to change or alter their behavior in the future so that similar, fatal accidents do not occur. Finally, the personal injury lawsuit allows a victim or their family to seek compensation for their loss so that the financial stress that often occurs after an injury or the loss of a loved one does not have to cause further hardship to an already grieving family. The Crow Law Offices are committed to achieving the best results for our clients. We have created a sample of cases that we have successfully resolved for our clients in the amount of $250,000 or greater in the last few years. The Crow Law Offices is one of the oldest plaintiff personal injury law firms in Sacramento and currently has over 90 years of legal experience. We stress client-focused representation, taking the time to work with each client on an individual basis to determine exactly what strategy will most likely help them reach their goals. 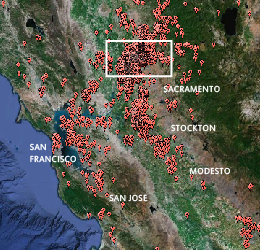 The following map represents the thousands of Sacramento based clients we have represented throughout years of personal injury legal representation. 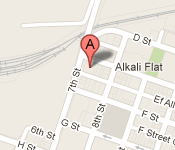 This map shows the clients of several of our attorneys including partners present and past. It may not look like it but there are thousands of markers visible. 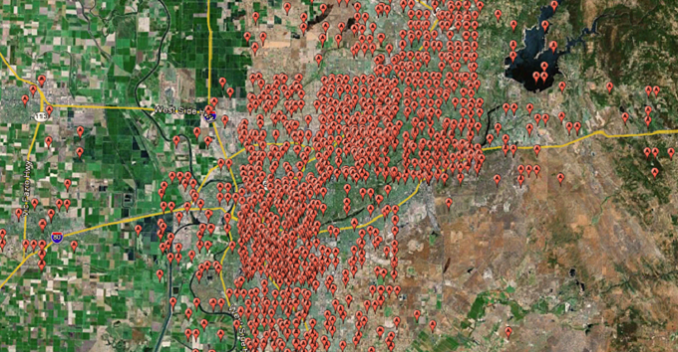 The map covers most all of the metropolitan Sacramento area. It is a testament of our vast experience made visible. It should also be of note that this is only a fraction of our past clients as we have had thousands of clients outside of Sacramento where our office is located. In the process of providing excellent legal service to our clients, we have accumulated over the years, an impressive list of satisfied clients throughout California. Throughout our years of representing the victims of personal injuries, we are proud to claim that most of our new clients come through recommendations from people who have been our former clients. The map to the left represent the thousands of individuals we have represented throughout Northern California since the founding of the firm in 1954.